Last year I taught a series of studies at church on our identity. One of these studies focused on the 5 Solas of the Reformation. On the way out of the faculty office one day I happened to mention this to another lecturer (our resident expert on the Reformation). He asked me a very pertinent question: Do Pentecostals really believe in the 5 Solas? Now, I think everyone will accept that Pentecostals believe in Sola Fide (by faith alone), Sola Gratia (by grace alone), Solus Christus (Christ alone) and Soli Deo Gloria (to the glory of God alone. The question is when we come to Sola Scriptura (Scripture alone). First off, let me make clear, I hold firmly to all 5 Solas. 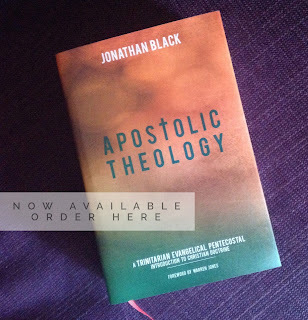 In fact, for me Sola Scriptura is of the essence of Pentecostalism, or at least of the form of Pentecostalism which I grew up in. If you had asked me in my youth what the distinctive feature of my church was, I wouldn't have given you an answer about the Baptism in the Holy Spirit or Spiritual Gifts; I would have told you that our distinctive was in doing things the Bible way. So for me the authority of Scripture, and hence the Reformation of Sola Scriptura was of the utmost importance. Sadly, my colleague had a point in asking his question. Routinely non-Pentecostals question our loyalty to Sola Scriptura citing our belief in present-day prophecy. This, however, should be a mistaken critique; prophecy should always be evaluated by Scripture and thus Scripture is the ultimate authority. Unfortunately, however, this is not always the case. The summer's events in Florida and how they have been handled are a case in point. To say that discernment was discouraged is an understatement. Apparently it was said on 'Christian' television that 'any criticism of Todd Bentley [was] demonic'. Such statements undermine the principle of Sola Scriptura. In effect such claims place the person, his utterances, or claimed miracles on a higher level of authority than the Bible. I'm sure that no one involved would dismiss the idea of the authority of Scripture, yet by such statements the fact that Scripture is our ultimate authority, above all else, is denied. Remember, when the Reformers argued for Sola Scriptura, their opponents didn't deny the Scriptura part, just the Sola. Of course such statements are the extreme. Yet I fear that the same thing is carried out on as less extreme scale more often than we care to admit. More than once I have heard people give the excuse of not feeling the Spirit's leading as a reason to ignore a clear Scriptural instruction. Occasionally in discussions of ecumenism the fact the someone speaks in tongues has been considered of the utmost importance, rather than the person's understanding of the Gospel. Experience in these cases trumps Scripture as the highest authority. 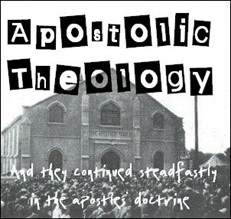 If, as Pentecostals, we are to be people who do things the Bible way, we need to hold to the ultimate authority of Scripture - Sola Scriptura. Our question must always be 'what does the Bible say?' rather than looking to experience. We must always ask if teachings/prophecies agree with Scripture, rather than blindly following along.